nutrition news. This month we also bring you up-to-date research in the form of a fascinating article on vitamin D. And don’t forget the BANT AGM on the 14th March – you have to sign up for your free place so don’t delay! 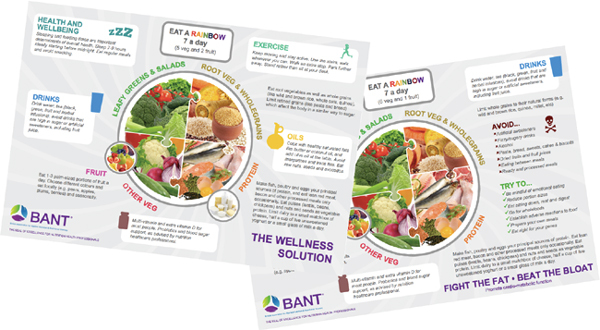 Our second BANT news issue of the year is once again jam-packed full of exciting updates and the latest nutrition news. This month we also bring you up-to-date research in the form of a fascinating article on vitamin D. And don’t forget the BANT AGM on the 14th March – you have to sign up for your free place so don’t delay! Access the BANT news here. Applying Functional Medicine in Clinical Practice™ (AFMCP™) teaches healthcare practitioners to more effectively integrate science, research, and clinical insights to treat and prevent disease and maintain health. Established and emerging diagnostics, therapeutics, and prevention strategies are extensively covered. AFMCP™ integrates these approaches through the Functional Medicine Matrix Model (an innovative and practical assessment tool) and the emphasis on a therapeutic partnership between patient and practitioner. Dr Dale Bredesen announces the synopsis of his talk for the March CAM Conference. As we are nearing our first CAM Conference of 2015, we have only a few tickets remaining so make sure to secure your place. Lorisian offers the professional testing service of YorkTest Laboratories in a way that is designed specifically for Practitioners. Following the success of our partnership with BANT in 2014 we have two exciting announcements.